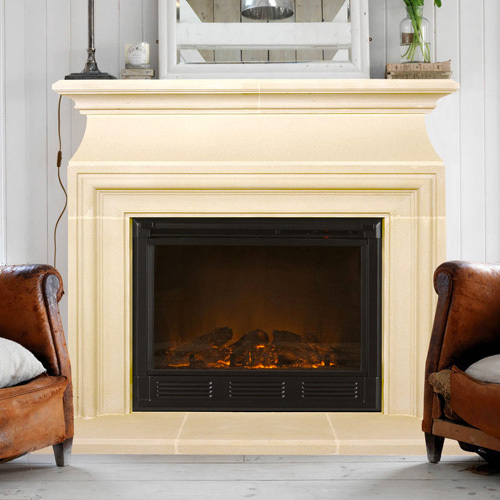 We’re excited to introduce the Chelsea Cast Stone Mantel to our growing line of fireplace designs. The Chelsea is a new take on our ever popular Capri Mantel and is sure to blend seamlessly with any decor style in your home. It’s simple lines and subtle curves ensure that this fireplace will be the favorite statement piece of your home for years to come. Order now or contact our team for custom orders today!